A Picture’s Worth Press is an imprint created for the publication of books that integrate text and imagery. Christopher Nowlin’s novel, Tough Tiddlywinks, is the first book published under this imprint. 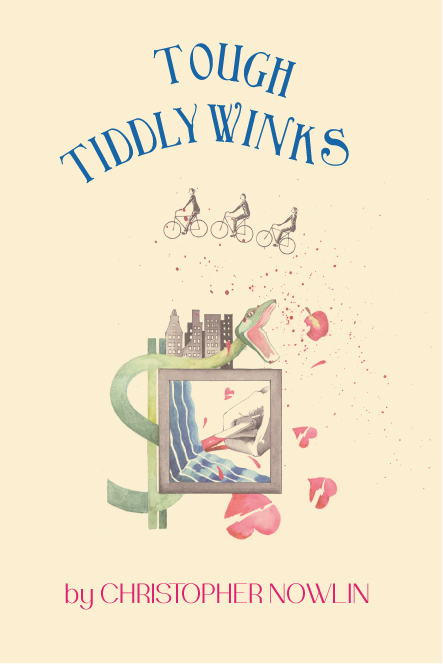 Tough Tiddlywinks has just been released and is available in perfect-bound and case-bound editions. To order a book please visit the Order a Book page. Tough Tiddlywinks was beautifully designed by Anna Shvets at Neshama Books, at www.neshamabooks.com.